Hopsin spoke with Billboard Magazine to announce that his first album in over 2 years, No Shame will be released November 24th, Black Friday and is available for Pre-Save today. Along with a revealing the album artwork and release date, Hopsin gifted his fans with a new music video, "Witch Doctor," which is available on all streaming platforms today. 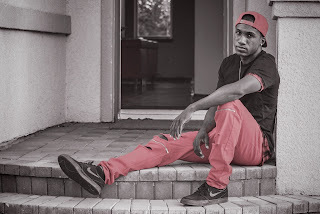 The exciting news about No Shame's release date and the "Witch Doctor" video was accompanied by the confirmation of Hopsin's signing to 300 Entertainment. Hopsin exclusively told Billboard, "I am very excited at the fact that I partnered up with 300. They are doing an amazing job at helping me expand my career. My album "No Shame" will give my fans an extremely real and heart felt experience of what I have been going through in my personal life." 300 Entertainment's CEO and co-founder, Kevin Liles added, "We're excited to have Hopsin join us at 300. He set the blueprint for independent artists today and as an independent company, we find him to be a great partner." Prior to the release of the "Witch Doctor," Hopsin dropped two unbelievable records, "The Purge" and "Happy Ending" for fans who have been awaiting his anticipated comeback to the rap scene. More information about No Shame will be released in the coming weeks and Hopsin will continue to release head-turning visuals to accompany the incredible music. No Shame will be available on all digital platforms and in stores on November 24th. Fans can pre-order their physical copy of the album now at www.undercoverprodigy.com and Pre-Save No Shame on Spotify, take a look at "Witch Doctor," and read Hopsin's story with Billboard below.